Four Girls From Berlin: A True Story of Friendship That Defied the Holocaust, by Marianne Meyerhoff, is a beautiful memoir of courage and friendship under horrendous circumstances. The story is about Lotte Meyerhoff who was a German Jew, and was the author’s mother. 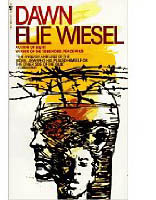 It is an affecting story of how she survived the Holocaust. She was the only member of her family to survive. Lotte’s story begins when she boarded the S.S. St. Louis, bound for Cuba from Germany, in 1937. She left behind family members, and her three best friends, Ilonka, Erica and Ursula. She was sailing to be reunited with her husband, who had traveled there before her. There were 937 Jewish refugees aboard the ship, seeking freedom. The ship was forced to return to return to Europe, as Cuba refused entry of the ship, and other countries, including the United States, denied the ship entry. Lotte was eventually smuggled out of a Dutch detention camp, and arrived in Cuba to reunite with her husband. From there she made her way to California, with her daughter, Marianne. While growing up, the subject of Lotte’s past is never discussed, and Meyerhoff’s curiosity never diminishes. She feels that she is without family, and doesn’t understand why. Lotte remains adamantly silent regarding her past, which only fuels Meyerhoff’s curiosity. Lotte divorces her husband, when he comes to California to inform her he loves another woman. One day the unbelievable happened. A large container arrives at their home in Hollywood, California. Lotte feared opening it after seeing where it was sent from. She was in shock. She eventually opened it, and to her surprise it contained family heirlooms such as candlesticks, family photographs, important documents and letters. Her three closest German, Christian girlfriends, had risked their own lives to smuggle them out of her home. They kept the items hidden, and after the war ended located Lotte’s address, and sent her the precious items They were the only remnants left of her family and her life in Germany. The items open up sealed wounds and force her to somewhat confront her past. Through Meyerhoff’s persistent questioning, bits and pieces of Lotte’s life slip out. Meyerhoff is more or less able to piece together some of her mother’s past, and the price she paid for her freedom. As the years go by, Meyerhoff, feels a deep sense of loss and incompleteness. She decides to travel to Germany to meet her mother’s three friends. It is a sojourn for her into her mother’s past. She longs to find a sense of family and of self. Lotte would not go with her. We follow Meyerhoff finally meet two of the friends that so loyally helped hide her mother’s family possessions (one lives in another country and can’t travel to meet her). They are married with families of their own. They take Meyerhoff into their homes as if she is their own daughter. Trust and love develop between them, and new friendships begin, that last through the years. Within the pages, we are not only shown how the four friends survived the war in their own way, but shown how the three friends held the legacy of Lotte’s life in their hands, minds and hearts. Four Girls From Berlin is filled with some the family photographs that were shipped to Lotte. It puts a face to the past, the past we should never forget. I won’t delve into the story any further as it will ruin it for those of you interested in reading it. It is a story told through an unusual perspective, through not only Meyerhoff, but through her mother’s courageous and unfailing friends. Meyerhoff is given first hand accounts of Lotte’s childhood, of her marriage and eventual decision to board the S.S. St. Louis. There are those humane individuals who will stop at nothing in order to salvage precious pieces of life for their friends. Four Girls From Berlin is excellent in showing how love and friendship knows no boundaries, even during war time. It is poignant, forthright. Meyerhoff comes to understand her mother’s pain and why she couldn’t bring herself to speak of the past, why she closed the door to her past. You can go home again, even when home is a place of shadows and tragedy. Four Girls From Berlin is an inspiring book, one that illuminates through the darkness of Holocaust history with glimmers of courage and hope. The book is a metaphor for friendship, love, loss and yearning. Marianne Meyerhoff’s book transcends religion, bridging the humanity of friendships that last through the decades, and carry on into new generations. The Zookeeper’s Wife: A War Story, by Diane Ackerman is an amazing book on so many levels. From incredible word-images, to profound scenarios, Ackerman takes us on a journey through Warsaw, Poland, through the eyes of two zookeepers, Jan and Antonina Zabrinski. Jan was the director of the Warsaw Zoo, Antonina was his wife. It is an incredible story of fortitude and strength, love of animals (large and tiny) and love of humanity. The Zabinskis felt that every organism, no matter how minute, was a part of the scheme of the earth and universe. This attitude prompted them to take the course of action that they did. The force involved in Jan and Antonina’s acts of human kindness are not only conceived out of circumstance, but out of their almost innate necessity to save Jewish individuals in WWII Warsaw. They were not Jewish, in fact Jan declared himself an atheist, and Antonina was a Catholic. They knew the risks they were taking, but chose to help others at the expense of not only their lives, but their young son’s life, and their newborn daughter’s life. Jan and Antonina had a deep respect and devotion to caring for life, in all of its forms, from the most minute insect, bit of algae or moss, to the largest of animals, including their favorite lynxes. It was this devotion, their ideals and values for what constitutes life and its worth, and their moral code, which consumed their every thought and emotion during World War II. This innate passion for saving life, turned their villa and the zoo into a refuge, for animals that you wouldn’t expect to find in a zoo setting. This is true account is one of many unusual stories to come out of World War II. Antonina played a large role while Jan was off at war, and when he was imprisoned, in continuing to keep the Jews and partisans hidden. Through journals, articles, and historical documentation, the author has written the Zabrinksi’s unique Holocaust story, from their extremely unusual perspective. The author had access to Antonina’s diary, and has infused the pages with direct quotes from it. It was a barbarous time period, and the brutality and harshness is reflected quite well within the book. The word imagery is strong, and it is sometimes difficult to discern where Antonina began, and where Ackerman evokes her own telling. Nonetheless, the book is factual, within its poetic aspects. Some details are sweetened, mainly pertaining to the people, animals and their lives within the confines of the villa. The author infuses some of her own thoughts, blending them with Antonina’s (she, herself states this) The Holocaust itself, and atrocious events and occurrences are not sugared in any aspect. The entire family is portrayed in the book. The zoo and the villa become a human menagerie, no let me say they become a menagerie for both humans and other life forms, tiny to huge. It was like a Noah’s Ark. Each with their own respective and unique personality, each with their own needs and strengths, adapting within unique surroundings and under difficult circumstances. All life forms in the villa live together in a carnival and tour de farce environment, yet live in harmony. The Zookeeper’s Wife chronicles human and animals, and their lives within the confines of the Holocaust and war-torn Poland like it has never been documented before. The heroine’s actions are vividly demonstrated throughout the book, Antonina’s almost innate sense of not only caring for the animals in the zoo, but getting into their minds, and reading their thoughts, sparked her passion for the value of life, the worth of all animals, small to great, that encouraged her in her endeavors to shelter almost 300 Jews in the zoo, within the confines of barred cages, underground passages, huts, secret hiding places in her villa, etc. Any place she could conceive of as a dwelling for hiding Jews, became one. Any disguise thought of was utilized for the Jews, whether it be aunt, uncle, or other visiting relatives and friends, ruses were created. Antonina’s story, taken from her journal is captivating, poignant, intriguing, humorous, tear-jerker material, and compelling as no other story you have read. Ackerman’s story, which surrounds Antonina’s, is poetic prose, a weaving of lives. She is often seems long-winded in her descriptions and word images, but once you get past them, you realize there is a purpose behind the prose. Ackerman wrote this way for a reason, and it isn’t necessarily apparent in the beginning. The Zookeeper’s Wife often reads like a beautiful prose-poem, of breathtaking writing and astounding imagery seeping through the pages. Ackerman is brilliant in not only her prose, but also in the scientific aspect of the animal kingdom. She sometimes rambles on regarding various species (much like I have rambled in this review), but in the end, it is for a reason, and coincides with the humans and their own stories of survival. She compares and contrasts humans and their evolution with animals. He was intrigued with being able to control the fate of producing animals with excellent traits, and animals of purity, through mating, reproducing, etc., until he produced the perfect example. He used eugenics in his experiments (breeding animals with specific traits). The love of magical and mythical animals enthralled the Nazis. Those animals were elevated in status. Animals are almost humanized in the Nazi world, and of course the humans, the Jews, are thought of and treated as less than impure animals by the Nazis. Experiments performed on Jews were abundant. From brain surgery to agonizing and tortuous experiments, the Jews were tools utilized. One has to read carefully in order to perceive what Ackerman is trying to accomplish. Jews, the Polish resistance, the Warsaw ghetto uprising of 1943, and then the Warsaw uprising of 1944, we are given a look at Warsaw daily life during the Nazi occupation, both the willing “prisoner’s and caged humans, and the unwilling Jews in prison camps. Life in the ghetto is depicted frankly and truthfully. The horrid and unsanitary conditions are explored and painted. The perspective is almost incomparable, and the historical facts and documentations are gleaned from newspapers, witness accounts, Survivor stories, scientific research, and from Antonina’s diary, her incredible diary. Within the pages humor is reflected within living arrangements and lives inhabited within the confines. Man and animal live together, eat together, sleep together. Lives are saved by courageous and empathetic individuals. At times the book can be difficult to follow, and I found myself rereading excerpts due to the fluidity. Overall, Diane Ackerman weaves the tapestries together with excellence. Both the scientific and historic aspects work well together, and The Zookeeper’s Wife is brilliant in its illumination of Jan and Antonina Zabinski, their moral code, and their courage to save lives despite risking their own lives. The story binds the threads of an unusual perspective in this amazing Holocaust telling. What an accomplishment! Bravo! Jan and Antonina Zabinski are honored by Yad Vashem’s The Righteous Among the Nations. The English Disease, by Joseph Skibell, is a story revolving around Charles Belski, a learned man who is a musicologist (one who studies the history and science of music). He has what is known as English Disease, which in today’s environment is known as depression or melancholia. The dilemmas in his life seem to stem inwardly from within himself, and are often self-imposed. He is a difficult, obnoxious, middle-aged man, with depression, and is extremely manipulative when interacting with those around him. He is a protagonist unlike any I have read, filled with a cynical perspective, yet wickedly funny. He is a depressed, non-practicing Jew, and is filled with guilt over the fact that he married a Catholic, a Gentile. The differences between Belski and his wife, interplay throughout the novel. There is disagreement on how to raise their daughter, Franny. His wife and daughter try to open his eyes to the joy around him. He is a man in crisis, lost in faith, relying on medication to get him through the hours and days. Belski’s life appears to be a series of reluctant events, which do not include one small spark of happiness. Belski is schlepping through life struggling with his emotional being and his academic side. He is fixated with the past, yet at the same time it eventually evolves into a healing element for him. He travels to Poland on a conference with a colleague named Liebowitz, a person, who is almost like a sidekick of Belski’s. They visit Auschwitz. Belski’s constant reflections on the Holocaust, anti-semitism, the current social climate in Poland, and on his life overtake his thoughts. They feed his melancholic state. It gives him power over others, the only form of power he has. Seemingly that depressive state is something that he enjoys being in, although he will tell you otherwise. Skibell is brilliant in his writing and assessment of Jews, assimilated Jews, Jews marrying Gentiles, the Holocaust, Poland, and depression and melancholia. Skibell’s amazing descriptive observations make it seem as if he is inside the heads of others. He does it all with a dry wit, and you find yourself laughing out loud while reading the book. Who could perceive that writing a novel about a depressed person could be so humorous, and so poignant at the same time. Who knew? He writes comically, on the neurotic struggle for assimilation, which really isn’t a struggle unique to Jews, but a struggle for all immigrants and first-generation Americans. Skibell incorporates those struggles and burdens within Belski’s journey to self-discovery. Skibell’s book is an excellent psychological character study. The English Disease is bizarrely funny with quirky characters, yet has strong serious undertones, and at times is heart-breaking. It is a metaphor for redemption, and for spiritual and marital contentment in an ever changing world. The end is a surprise, and fulfilling. I wouldn’t have missed reading The English Disease for anything, as it is that good! Bravo to Joseph Skibell. Aleksandar Hemon for his book, The Lazarus Project. It is a book I have on my stack of “to-read” books. Rachel Kushner has been nominated for her book, Telex From Cuba. Peter Matthiessen for his book, Shadow Country. Marilynne Robinson for her book, Home. Salvatore Scibona for his book, The End. If you want to see a listing of all of the nominees, in the four categories of fiction non-fiction, poetry and Young People’s Literature, visit the National Book Foundation’s website. According to the Associated Press, “French novelist Jean-Marie Gustave Le Clezio has won the 2008 Nobel Prize in Literature“. He will receive the award, when it is handed out on December 10, 2008, in Stockholm, Sweden. Congratulations to a brilliant author! Dawn, by Elie Wiesel is an excellent book that examines many issues, especially on good and evil, forgiveness, spirituality and identity. “There are not a thousand ways to be a killer; either a man is one or he isn’t. He who has killed one man alone, is a killer for life…the executioner’s mask will always follow him.” This was Elisha’s dawn, his dawning. During the years after World War II, terrorists in Palestine try to drive the British out. This dark, intensely written novel, focuses on a young Holocaust Survivor, Elisha, who has joined a group of Jewish militants. He has been assigned to be the executioner of a British officer. The book fluctuates between Elisha’s ghosts of the past, Holocaust ghosts, and his present situation, as Elisha continually questions whether what he is doing is right, is for the larger good . We enter his mindset, literally, and feel his struggles between what is the moral thing to do, and, what one does, in what they believe to be in the best interests of their nation, and their historical group of individuals. His dilemma “dawns” on him, as he becomes aware, and strongly perceives the struggle he has to face…within himself. Dawn, is a word that does not necessarily imply sunrise, and in this novel, although the execution is to take place at sunrise; the impact and emotions of the situation, are deeper, and more vivid, and illuminate, within, more than any morning sunrise ever could. Elisha has an awakening, and a new life begins, unfolds, for him…one he can never return from. We see how the militant group dynamics can encourage and persuade a young person, in the wake of a horrific trauma of their own, to commit an act, that under different circumstances, they might not involve themselves in. Weisel’s intensity in writing, and his analyzing the events for what they are…conflict…on both sides of the coin…leaves one to question what components make up the mind of a murderer, and whether there is justification for violence and murder, for a political cause, under certain climates. Although the Dawn’s copyright is 1961, the mindset of the militant group could apply to the world events, today, with the current terrorist situations. In fact, if events of The Holocaust were not mentioned in the book, one could assume that it might have been written today, its relevance to current events is so strong. © Copyright – All Rights Reserved – No permission is given or allowed to reuse my photography, book reviews, writings, or my poetry in any form/format without my expresss written consent/permission. “Does the Soul Survive?” (A Jewish Journey to Belief in Afterlife, Past Lives & Living With Purpose) is Rabbi Elie Kaplan Spitz’s extremely thought-provoking book. We travel with him on his steps towards awareness. Does the Soul Survive? is a compilation of experiences from firsthand accounts that were told to him by others, from experiences his own wife had, to his own experiences with a friend who is dying, and other experience of his own, the book will leave you considering the role that the “afterlife” and the role that “past lives” play in your current life. Through Rabbi Spitz’s own observations and his participation with individuals (both living and dying), he has documented events that border on the conscious and subconscious levels of these individuals. Their souls are brought forth. Through his exploration of whether immortality of the soul is actual, his writing is stimulating, yet written with sensitivity to the issues within Judaism, regarding eternal life. Rabbi Spitz manages to combine emotions, subconscious thinking, spiritual beliefs and logic within the pages. He doesn’t force his opinion or his finding on anyone, but rather gently tries to evoke us to consider his information with an open mind, and not with a narrow one. The pages are filled with inspiration and purpose. For him, the end result would be for each reader to search for meaning, both in Judaism and daily life. He realizes the problems within the theory of soul-survival, yet, in my opinion Elie Kaplan Spitz has achieved his goal with his insightful, and inspiring Does the Soul Survive?. I personally own and have read this book. Does the Soul Survive? was given to me by a friend in 2004, during the period when my mother was dying. After his wife had died, it had been given to him by a friend. After reading the book, I returned it to him, and bought my own copy.